Since 2001 Magento has become an e-Commerce solution that never stops surprising store owners with a range of powerful features. It sets the bar offering three versions for various types of businesses: Magento Community Edition, Magento Enterprise Edition and Magento Go. However, its owner, eBay, has decided to concentrate on future development of the most popular ones and shutdown Go. But what is the difference between Community and Enterprise Edition? Why do some e-retailers opt for the last one to fligh high on e-Commerce sky? Capacity. Comparing to Magento Community, Enterprise Edition is always ready to cope with large traffic number, orders submissions and products variety. Possessing a very fast page load it allows stores to handle even thousands of visitors online. This feature is especially great during the holiday season, when customers are excited searching the presents. Security. There is only one option that has not been presented in Community Edition, but gives an advantage for Magento Enterprise. Secure Payment Bridge is key of confidence that all personal data are strongly encrypted and stored due to all international rules. Moreover, it enables flagging potentially fraudulent transactions in automated way as well as processing partial refunds via PayPal Payflow Pro. Creation of new content that will engage visitors increasing your traffic is an effortless task when a built-in CMS is provided. Together with unlimited content management opportunities you are able to build a number of stores that can be managed just with the only back end. Therefore, this edition gives a possibility to enjoy the convenience with its powerful features that have made a contribution for becoming world’s e-Commerce leader. Client Segmentation. There is no need to heap all customers with emails or to spend time sort out them according to their order history, visits, geography or gender attributes. Using Magento Enterprise you can manage all these segmentations only in a few clicks. Custom Promotions. Personalize content and items you sell with client segments as the most actual way of retailing. It is easier to match products, prices and promos if your solution is Magento Enterprise. Power of Social Media. Extend your client base using the most popular internet resources - social networks. Product reviews, specials, shares, likes and tweets can let your customers be informed about the web store updates, bestsellers, promos. 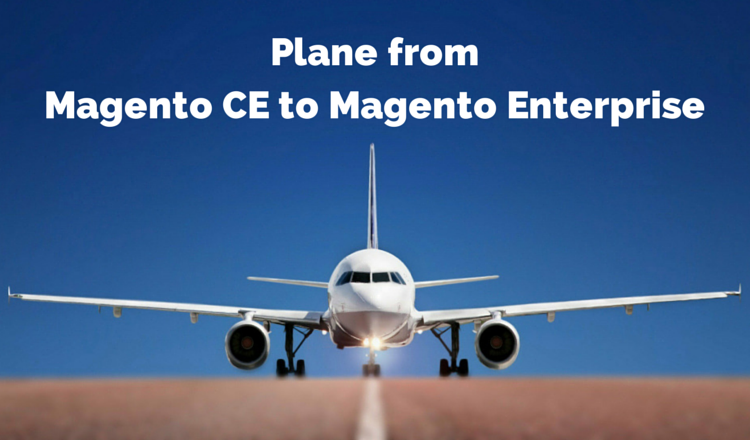 With Magento Enterprise you can leverage the most vocal customers to create the talks. There is nothing complex in creation and administration of Magento mobile store. HTML5 interface allows to support a diversity of devices as well as browsers making it possible to perform shopping online using any kind of device. Integration with you e-shop data (catalogue, checkout, reposting, inventory systems) can be done easily. In case when you make a decision to create a mobile app, Magento is going to handle the submission and support with both Android and Apple stores. Choosing the kind of upgrade making a migration from Community Edition to Magento Enterprise, you can enrich your store with new functional possibilities and extend the pool of the customers. If the goal is to let the business grow, then this solution is a perfect option. Don’t forget that Cart2Cart provides a unique chance to migrate from Magento CE to Enterprise Edition with no programming skills. To dispel all the doubts, try our free Demo migration and in 10-30 minutes get the results.